Let’s take a quick look at how to read Japanese charted patterns for amigurumi. They’re not as hard as they seem at first glance! A close friend of my significant other moved back to Japan a few days ago. He had been in the US for almost ten years, and had made a ton of close friends in DC during that time. 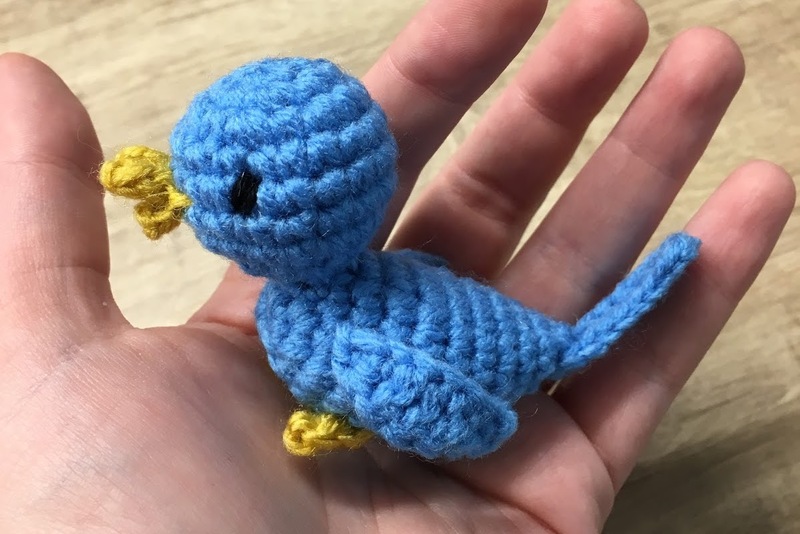 I like to take advantage of every possible occasion for crocheting people stuff, so of course I decided to make a tiny gift for my SO to give to him at his going away party. This bird pattern was the first Japanese pattern I ever tried, so I thought it would be meaningful as well as cute! I went to Japan a few years ago to visit a friend who was living there, and she gave me a couple of amazing amigurumi crochet books since she knew I loved to crochet. This bird pattern is from Maki Oomachi’s “Amigurumi Forest” or あみぐるみの森. All of the patterns are charted instead of written, which I had never tried before. It took me some googling to figure it out, so I want to share what I learned with you today! R4: dec around (6) Fasten off. R5: sc 6 (6) Fasten off. As you can see, we’ve got a small ball and an hourglass-shaped flat piece. Now on to the good stuff: how to read the charts! 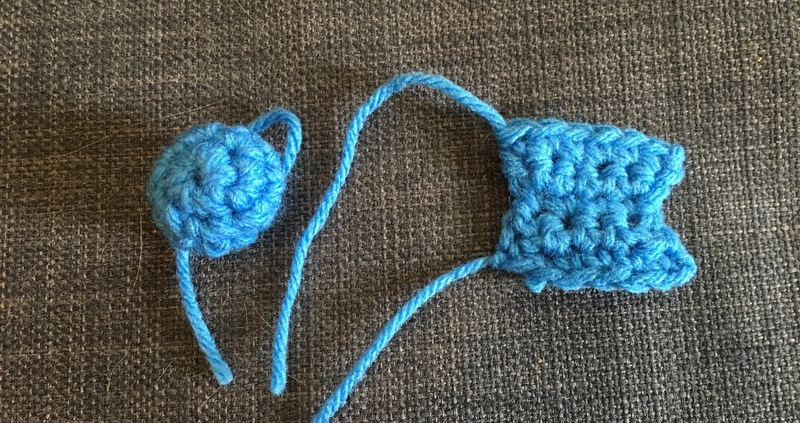 The drawing on the left represents a 3D piece crocheted in the round, and the drawing on the right represents a flat piece where you turn after each row. 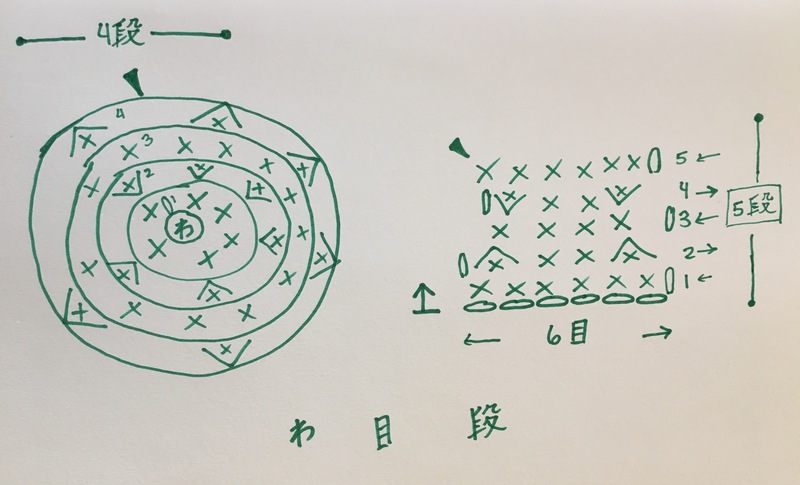 This is the format of most of the patterns in the Japanese books I’ve seen, and I’m going to walk you through the various symbols and what they mean. There are also 3 Japanese characters I think it’s helpful to know here. I’ve listed them along the bottom of the drawing in addition to their spots within each chart. The dark triangle in each chart shows where you fasten off. For the circular charts, you start in the middle. For the flat chart, you’ll start with the starting chain (you’ll also usually see an arrow next to the starting chain showing which direction you’ll work in). That should hopefully get you started. Have you tried a charted amigurumi pattern before? Are there some other symbols or characters you’re curious about? Let me know in the comments!